There is a funny thing happening in the world. Businesses talk all the time about building a trusting relationship between themselves and their customers. When the customer buys into this relationship, the business sticks a knife in their back. It’s like a bad relationship actually….you get used and by the time you realize it, you’ve wasted a lot of time and energy for nothing. The latest piece of news showing this comes from the Consumer Federation of America. They tell of how companies, specifically car insurance companies, are using a tactic called price optimization to get consumers to pay more money. Then, advanced metrics came into play and insurance companies started to look at your credit report and employment and criminal records. Apparently, these all matter when determining who is a safe driver and who is a poor driver. But now, they have taken the next step – personally, I feel this step is over the line – where they crunch the data to see who is most likely to jump ship and shop for better (lower) premiums. How this works is this: Let us say both you and I have coverage with ABC Auto Insurance. I shop around for the best deal on auto insurance every other year, while you do not. If all other factors are the same (age, gender, where we live, etc.) who pays a higher rate? You do. Yep, you read that right. You pay a higher rate simply because you don’t shop around. In other words, you are telling the insurance company that you like them so much, you are going to be a loyal customer no matter what. I on the other hand, am telling them that I just need good coverage and I’m not willing to pay an arm and a leg for it. So, if you have not shopped for auto insurance coverage before, you need to start doing so now. The good news is that it is easy and free to do this. You can quickly and easily get free quotes online for 10 minutes worth of work. 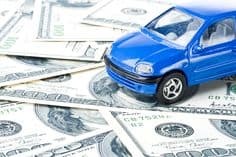 For those of you that don’t think your auto insurance company uses this tactic, beware: a study by Earnix Inc. shows that 45% of big insurance companies use price optimization right now and another 52% will soon be adopting it. Again, your best defense is to simply shop around. There is no proof that you actually have to switch, you just have to show that you will shop around if the price for coverage becomes too high. So unless you love giving others your money for no good reason, you need to start shopping around for auto insurance. If on the other hand, you do enjoy giving money away for no good reason, contact me and I’ll be more than happy to give you my PayPal address :).